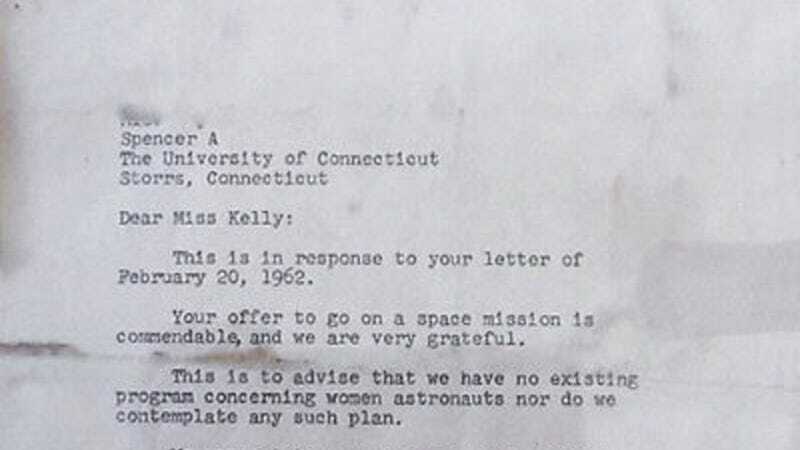 In "history was hella sexist, year 1962," NASA's Director of Public Information responded to a woman inquiring about becoming an astronaut that they had "no existing program concerning woman astronauts nor do we contemplate any such plan.” Ouch. Just one year later, on June 16th 1963, Soviet Cosmonaut Valentina Tereshkova became the first woman in space. She spent 48 orbits and 71 hours in space, which was more time than all U.S. astronauts had spent in space combined. Last month marked the 50th anniversary of Tereshkova’s trip. In a time when the Soviet and the United States were racing to achieve “space firsts,” the complete rejection of women as astronauts a mere year before Tereshkova went to space was a clear failure for the United States. Also, side note, but notice how the letter doesn't have a zip code? 1963 was also the year Mr. Zip came calling. So much progress!